Starting today, Suicide Squad: Hell To Pay is available everywhere from Warner Bros. Home Entertainment on Ultra HD Blu-ray™ Combo Pack, Blu-ray™ Combo Pack, DVD and Digital! Produced by Warner Bros. 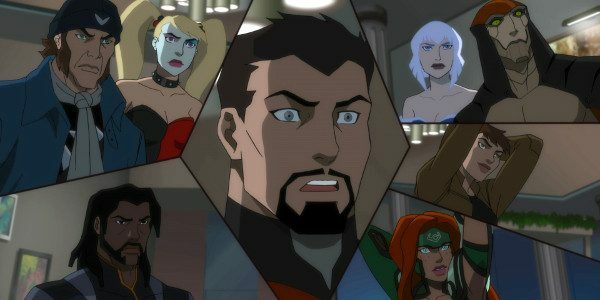 Animation, DC Entertainment and Warner Bros. Home Entertainment, Suicide Squad: Hell to Pay finds Amanda Waller’s top secret “Task Force X” – Deadshot, Bronze Tiger, Killer Frost, Captain Boomerang, Harley Quinn and Copperhead – on a mission to retrieve a mystical object so powerful that they’re willing to risk their own lives to steal it. But the Suicide Squad isn’t the only group of villains seeking to possess the object. The race is on for the golden prize … and, to stay alive, second place isn’t an option.